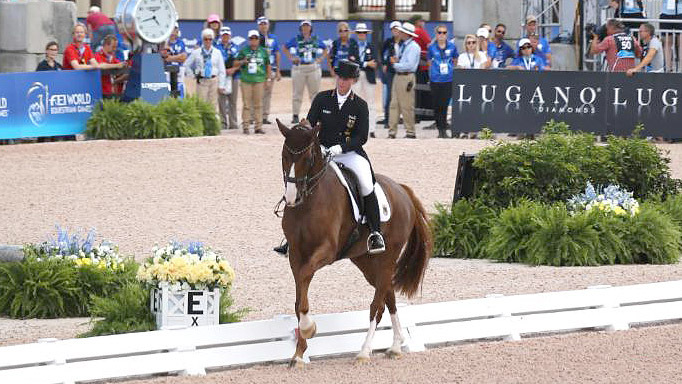 It was anything less than routine when Germany took the Team Gold medal, adding number 12 to their collection in Helgstrand Dressage competition at the FEI World Equestrian Games™ Tryon 2018 on Thursday, September 13 in U.S. Trust Arena. Team veteran Isabell Werth’s tears ran freely after her stellar performance with Bella Rose, which brought the team score up to 242.950 points to secure their stance at the top of the podium. Sönke Rothenberger (23) and Cosmo, both at their first WEG, had added 81.444 to the scores of Jessica von Bredow-Werndl and Dorothee Schneider. Those two had set the foundation for the Gold medal on Wednesday during the FEI Grand Prix competition. Team USA finished second on 233.136 points, securing their second WEG Team Silver thanks to a top performance from Laura Graves and Verdades. The pair rode in last and turned in 81.630 points, the second best result of the competition. “I was a bit under the weather today, but it is amazing what adrenaline can do. There was a lot of pressure on me today,” Graves said. Great Britain secured bronze on 229.628 keeping the Swedish team at bay by just 0.172 points. Defending champion Charlotte Dujardin and veteran Carl Hester both had brought two very young horses and Dujardin’s nine-year-old Mount St John Freestyle seems set to fill in the big hoof prints left by golden horse Valegro, coming fifth individually in the mare’s sixth’s FEI Grand Prix appearance. “For the last six or seven years I think that people thought that British Dressage was just Valegro and that was it. “I think this has proven that we do still have depth in British Dressage, which was the main point of coming here,” Carl Hester said. Dressage queen Isabell Werth, at her seventh WEG, changed between crying and beaming even long after the last halt in front of the judges had earned her the top score of 84.829. Team Germany on their victory gallop after clinching the win in Helgstrand Dressage Team competition at Tryon 2018. The top thirty horses move on towards the first Individual title at Tryon 2018. 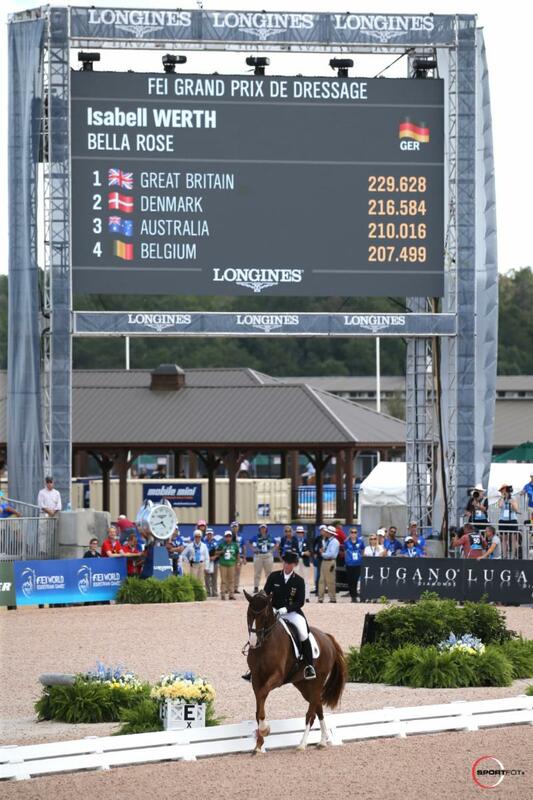 The FEI Grand Prix Special opens at 10:30 a.m. EST on Friday, September 14 in U.S. Trust Arena.